Follow US-67 North from Little Rock to Jacksonville. Exit at the Air Force Base (Exit 11) and follow signs through gate. Go straight ahead on Vandenberg Drive to Arnold Drive (first junction), turn left and follow Arnold Drive appx. 1.5 miles to CMSgt Williams Dr. (Third stoplight). 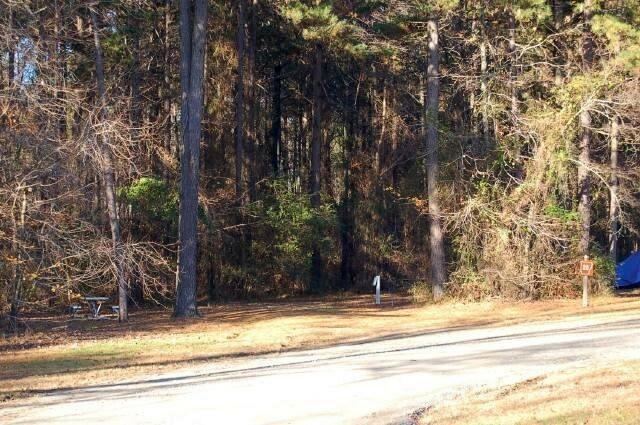 Turn right onto CMSgt Williams Dr. Second left onto first road past gas station into Fam-Camp (look for sign). Check-in is with the host, or at building 656. If paying cash or check, you can fill out a ticket and pay at the main sign after you park in an empty space. Active, National Guard, Reservists, Retired, 100% DAV, DoD Civilians. No reservations, but a phone call will confirm the number of open spaces at the time of the call. Wi-Fi available at the base library. Must use Post Office in Jacksonville, AR. 30 day maximum stay limit, which may be extended another 30 days. Exceptions to stay limit must be approved by the Outdoor Recreation Manager. Self-check in available at the campground. Directions to MWR (check-in) also posted at the campground. Must be registered with Base Armory. Outdoor Adventure Program offers many fun and exciting trips. Our trips include but are not limited to, canoeing, kayaking, fishing, dinner cruises, pontoon boat rides, rock climbing, and mountain biking for the outdoor enthusiast. Recreation checkout offers outdoor and recreation equipment for checkout. 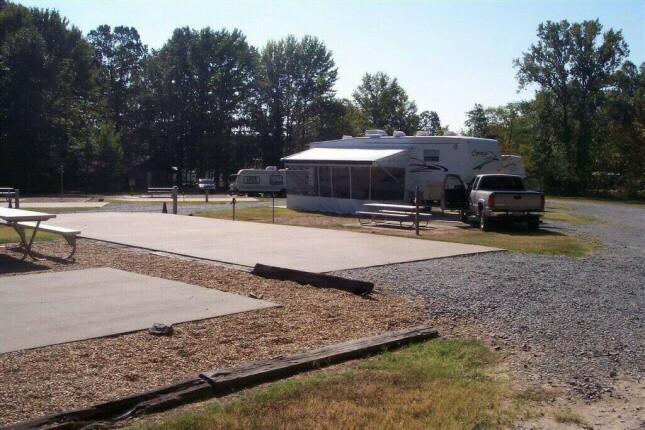 Available at the base lake is the Family Camping facility, offering RV spaces to traveling members of the Armed Forces. 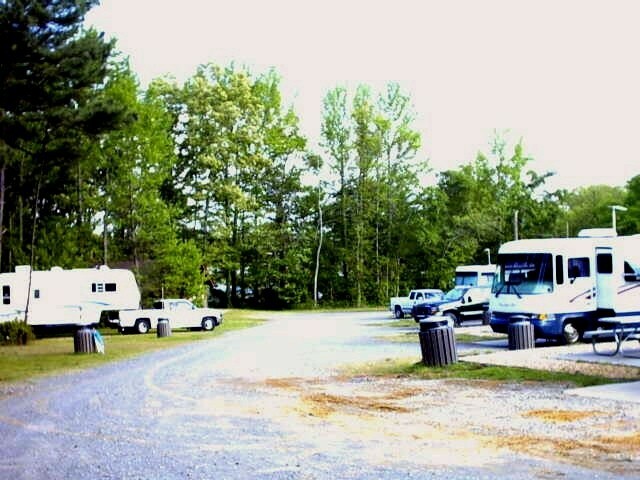 There are changes to the campground. The new section has opened up with an 10 additional winterized sites. Four older sites are closed for pad repair. There is no longer a 14 day maximum stay. The Outdoor Recreation Manager says 30 day max for non-TDY campers with a 30 day extension upon approval for a maximum of 60 days. There is a monthly rate of $450 and the daily rate is now $20/day. Two Washers/Dryers are now in the laundry room. Noticed the washers were $1/load. This is a great place. Nice to have concrete pads and plenty of water pressure. 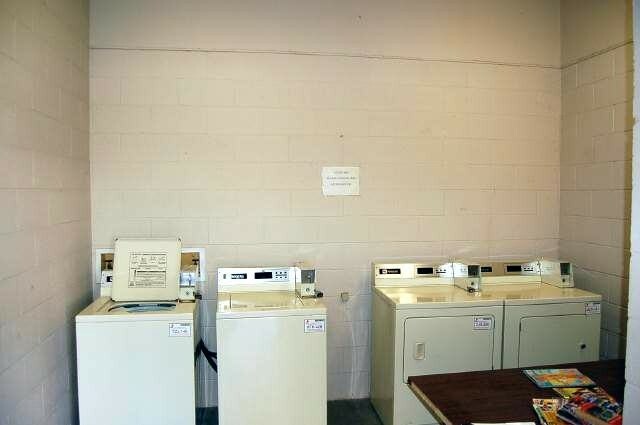 The only real downside is that there are no washer and dryers on the grounds or on the base. Apparently there used to be here and there is a room for them but something happened in Dec of last year and they were removed. Larry, the camp host, has been unsuccessful in getting the bureaucracy to resolve. 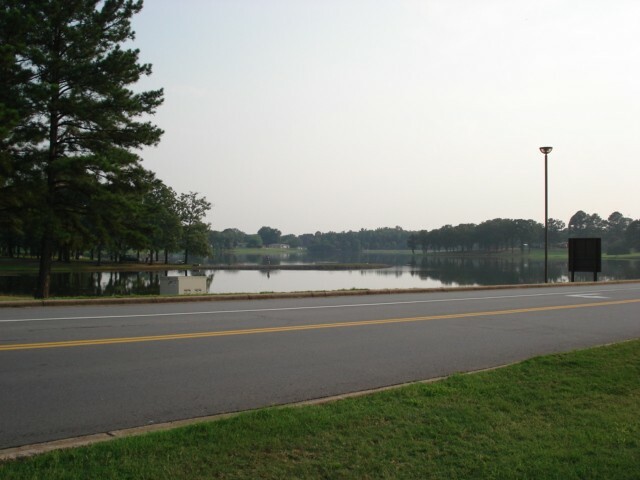 Easy to find, amenities are plentiful on base. New sites in process of being added. Our host ( Larry) was very helpful. Would like to see more MWR facilities provide reservations in advance of just showing up and hoping to find an open site. Nice campground with easy access. Site coordinator (Larry) is great and very helpful. In process of opening 12 new parking spots with full hook up. Each site has concrete pad with water, sewer and 30/50 AMP service. There is no Wifi at campground and no cable TV. We were able to get 40 channels of OTA TV. As we have grandchildren nearby this campground is idea for us and at $15 per night a real bargain. It had been several years since we were at the Little Rock AFB Fam Camp and was in the area to watch our grandson play college basketball. Just did a drive-thru and saw a lot of construction taking place; more RV spaces and a new comfort station. The better pull thru sites and back-in sites were taken by "homesteaders". It looked like some of them had been there for years. The ramp at exit 11 is a mess. There's a stop sign at the bottom where you must merge with traffic on the frontage road. That traffic has stop lights. When things are busy traffic backs up way onto the freeway. You have to wait for some kind soul to let you merge in. It may be better to get off at the Main St. exit and take Marshall Rd in. You will still be outside the gate. Once through security it's easy to find the famcamp. We were told there were at least 7 open spots but 2 of them are not very user friendly. They're sort of a "Y" shape with a shared driveway. If one site is full they'd have to move their vehicle to let you in. The first sites, including these, are relatively small and close together. The main area has good pull throughs up the center,most of which are taken by permanent guests. You can tell by the elaborate patios. The wooded back-ins around the edges are decent. We had plenty of room and the trees/brush were well trimmed. There's no diesel on base but we were lucky to find a firestone store and got much needed new tires put on the next day. If you need to go to outdoor rec, it's located in the rear of the auto shop building. The large sign on the awning says Arts and Crafts but look for the lettering on the door that says outdoor rec. This is a very nice FamCamp. It's clean and well maintained. There's an on-site camp host (when we stayed, it was a young active duty AF enlisted man). They don't take reservations and it's first come, first served. Payment is by check or cash for the camp host (outdoor rec may be able to take plastic, though). My RV GPS took me to one of the back gates where I was turned around and sent to the main gate. This is because there's a metal obstruction that's too narrow for RVs and the SP said that they've had several damaged, so just don't let them through any more. Be sure and head for the main gate! My wife and I both wished we had scheduled more than an overnight here - would have loved to do the nature trail and see the aircraft on display. Easy access off of I 40. About 5 miles onto the base. 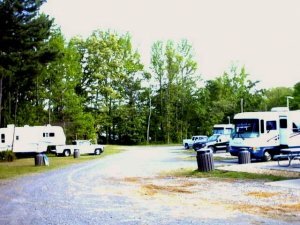 It is a very scenic campground with some campsites shaded with the trees that border the grounds. There is a lovely pond with fountain that people were fishing in. 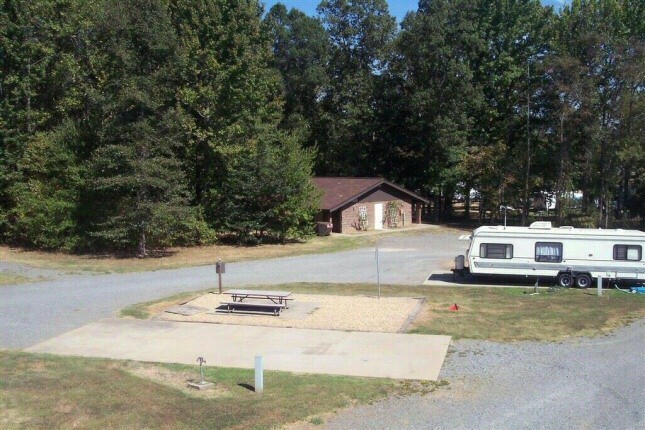 Beautiful nature walk area and children's play yard adjacent to campground. There are quite a few long term people. We arrived late afternoon on a Sunday. 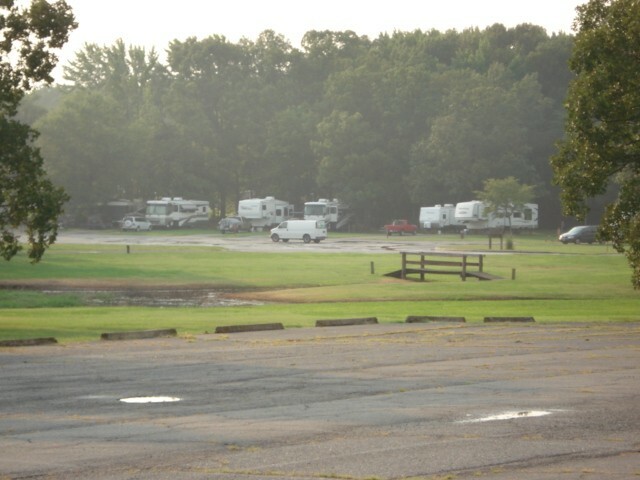 I called camp host and got no answer but we drove to the campground and there was plenty of empty spaces. There was an ' Honor System' message board with numbers of available campsites and envelopes for payment with a secure Dropbox. $15 bucks a night was very reasonable in my book for this campground. The bathrooms were locked with a access code box. Luckily another camper we met shared the code so we could shower. The showers were nice and clean as was the laundry room. We did not visit the commissary or exchange during our overnight stay. I would not hesitate to stay there again. Very nice facility. A real bargain in my book. Nice pull-thrus, clean, manicured park. Nature trail nearby. Express store located with walking distance. Bathhouse needs to be updated, but was reasonably clean. 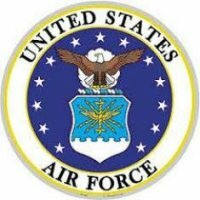 Since I did not check in at the office - used self check in at the campground - I did not get any information about facilities on base. A map would have been nice. If passing through the area again, I will stay here. We stayed here one night while traveling east and enjoyed our stay. There is a lot of construction on 67/167 so it can get backed up. Getting to the camp was confusing with the construction on base on Vandenberg Rd with no detour signs. If the construction is still ongoing and the left turn to Arnold Rd from Vandenberg is closed, take the next left at Thomas Ave, left on Cannon Dr, then right on Arnold. 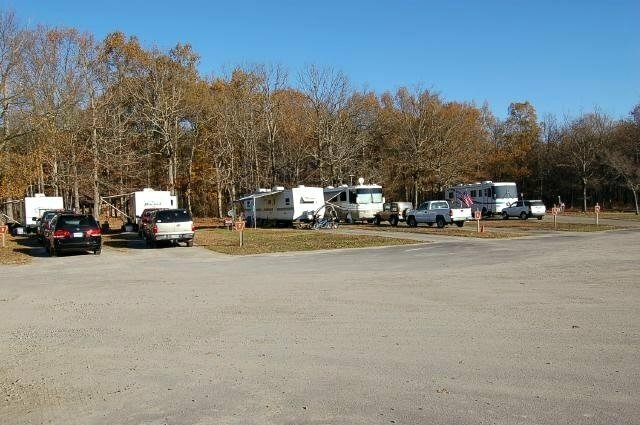 We were greeted right away by camp host Rick and told which spots were available, to pick one then come back with the site information and payment. Despite what is listed, all sites are full hookup. There are eight pull thru sites and the rest back in. We had a pull thru concrete site which was plenty wide but the length of the concrete pad was a little short. The rear tires of our 35 ft 5th wheel were at the edge as were the front tires of our truck, which might make for an issue with larger rigs. There was a large lip between the pad and the road on the front and back, so take it slow. All the utilities worked well, no wifi or cable, but Verizon coverage was good as was over the air TV reception. 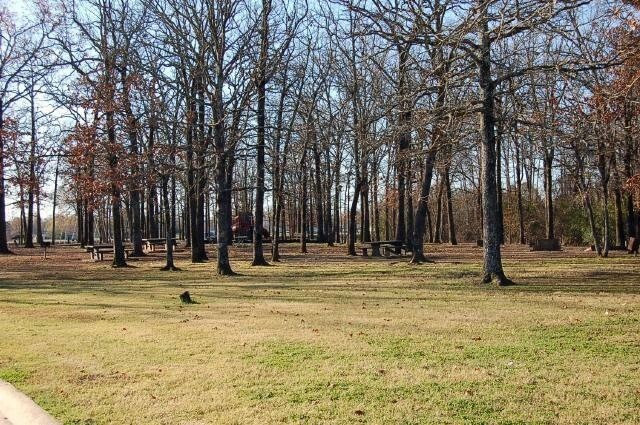 There is a nice picnic area near the entrance of the park and walking trails nearby. We did not hear a lot of jet noise, which was very nice. The value is great (how can you beat $15 for a full hookup pull thru), the location is quiet, it can be a great park, we just didn't spend enough time there to get a long term feel for it. If passing through again we would definitely return. New Camp Host named Rick, Really outgoing and friendly. 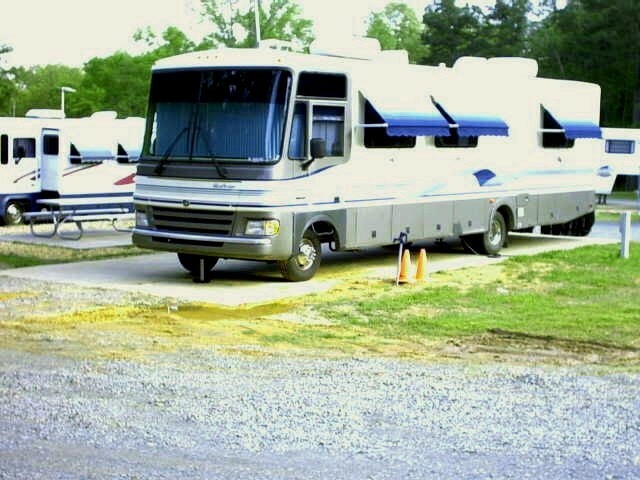 Rick has really been doing a great job making the camp a more favorable place to visit. My wife and i are regulars there and the camp has never looked so good. Rick is constantly keeping up with the grounds and facilities, even the wooded trails. Thanks Rick for making our last stay a most pleasurable one. I understand they are adding more spaces in the wooded area. Great. When WiFi is installed it will really enhance future visits. Excellent facility. Great location. Surroundings were rustic(tucked into a wooded corner of the base). Thoroughly enjoyed the stay. Easy in and out. All the conveniences of home. LRAFB is definitely a city within a city. Personnel are friendly and helpful. ALL sites are full hook-up. Only problem someone might consider is the flight line noise. Four C130 squadrons and repairs and testing often go on around the clock. I loved it. We slept like a rock! Stay here for 5 days and it was ok. The only real complaint I have would be the spiders. There are lots of them, everywhere. Otherwise it's a nice clean stay, friendly camp host. Sites are big and comfortable. Very nice walking trail through the woods that is well maintained. Laundry room is clean, but filled with spiders. 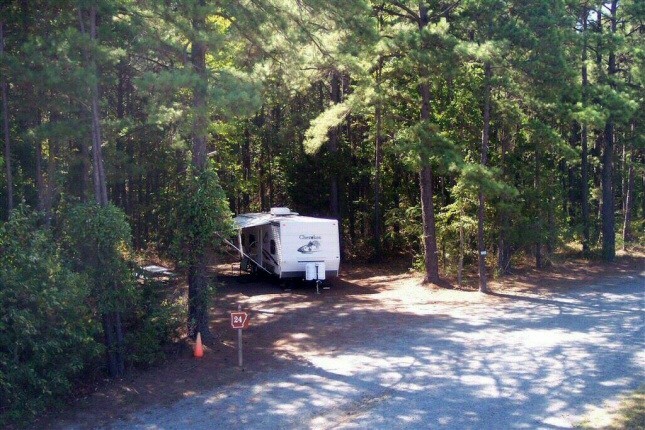 If spiders don't bother you, then you'll like this campground. Directions are good; no problem finding the base and site. It's several miles off I-40, not a problem but unexpected. We didn't go into Little Rock but if that's someone's plan be prepared. 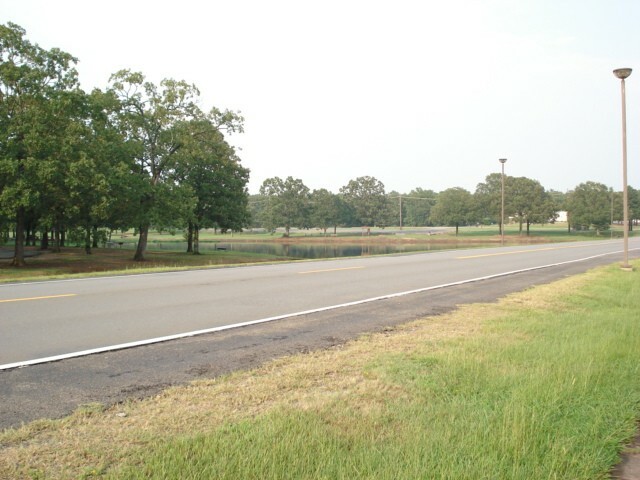 The site is in a nice location on the base, convenient to the BX/ commissary and shopped. The sites area pretty basic and seem to be maintained in a haphazard manner. The bathrooms/showers are old and were dirty; seriously dirty. We met the host who had us put cash in a box at his trailer; pretty simple. The site is pretty sparse but satisfied our basic needs. We would stay again. Staying there is a value and not to far off the beaten path. Stayed during spring break 2015. The Host had a family emergency during our stay, so no help getting things done. We were supprised to find out that open fires at the campsite are not allowed, yet you can have an open fire in the BBQ pits provided at each site. Trips into little rock were longer than expected due to the construction on the highway, there is a camping world down the road on I30. 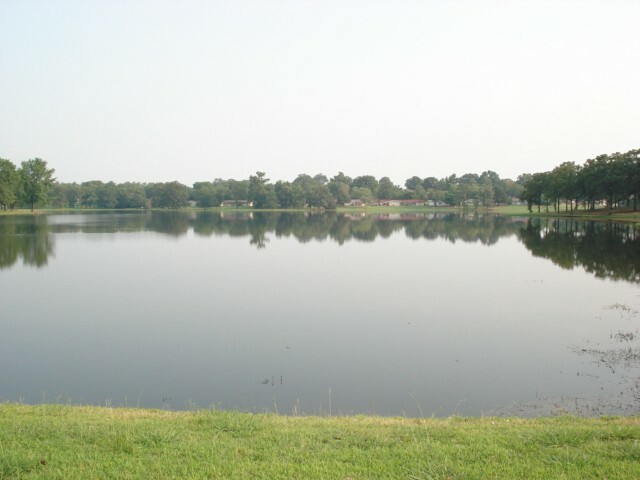 I found the lake nearby fun to fish in, and there are fish but one for every two turtles. Be very careful, we found a copper head near our site. Oct 1st price went up to $15. This campground is being used by active duty and there is a loud speaker that plays all of the catchy tunes from revellie around 7, chow, national anthem, taps. You are on a working Air Force Base, you will hear C-130s although with a fan on, I didn't hear them. "The Major" (Mike) is the camp host and a really nice guy. The Base Library is close by, and has great wi-fi, movies to loan, audio books, desktops, printers, newspapers, magazines etc. Base has a thrift store & fitness center. Lawns are mowed if sites aren't taken. Campground bathroom and laundry are clean but the natural wildlife (spiders) tends to make themselves at-home and they can be quite big, for those who do not care for them. Washer and Dryer are 1.25 each. 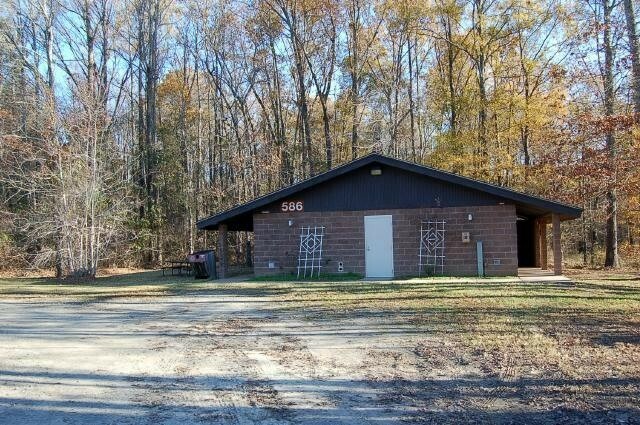 Campground bathhouse has a code to use, there's a bathroom across the parking lot that are not coded that are also clean. Some of the sites out front are too close together. They are doing work in the area and word is on Jan 1st, the rest of the sewers are going in. This place just needs a small touch of TLC and the potential is big. Stayed in a motorhome and will stay again. small tip,...First Wed of every month, wine is 15% off at the Class 6 PX by the Airplanes on display. Alot of people were taking advantage of it. They do have other alcohol there too. More so than the big PX. Most of the sites are now full hook-ups, with 30 and 50 amps. There's still about 7 sites without sewer, but it's getting installed at them. We spot checked a number of them and they all were full hook-ups. The front 10 sites have shared hook-ups which means you need long electric plugs and water hoses. The back sites have normal hook-ups. When we arrived at the campground the grass was very high but later in the day they were mowing. Now there is freshly mowed grass just outside my front door. We stayed in a motorhome and would stay again. Still no wifi on site but we had good Verizon signals. We stayed one night at the FamCamp while in transit. 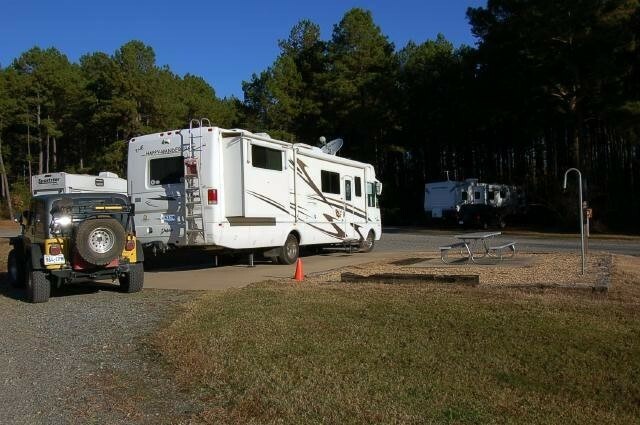 I was very disappointed with the setup…"Long Term" people (meaning people LIVING there) in the paved campsites while travelers were put in the NEW gravel slots. You have to like hearing Reveille at 0700 because the Giant Voice speaker is right at the FamCamp Park. Also, you will hear the noise of the C-130s on the flight line all night long as they do engine runs at all hours. Finally, the camp host was a retired civilian and couldn't get around because of his disabilities. This showed in the park…it wasn't taken care of very well. According to the FamCamp Host, the Wing Commander is not a fan of the FamCamp so they don't get a lot of support. I'd only stay here again if passing thru and there weren't any options. Next time, I'll plan on heading to another location/route to miss this place. They need to get the NEW gravel sites up to Full Hookups since they are only W/E right now. Also, they need to get Free WiFi…it's not available in the park.